Magnetic fastener. 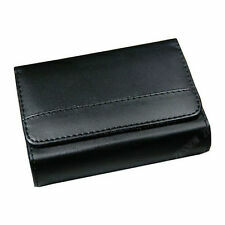 Light weight black PU leather. Velcro Flap. 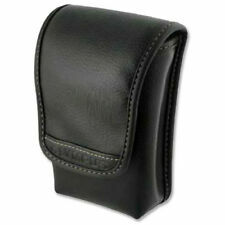 Manufactured from padded black Nylon with Leather Look Front and flash on the cover. Extrenal Size (Approx) (MM) 120 X 80 X 35. 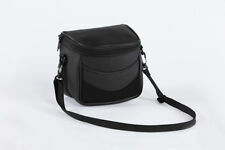 Extra Long 1200mm Shoulder Strap. Belt loop on the back to secure onto belt. The Case will also absorb the shock if it is accidentally dropped. Features: 100% Brand New and High Quality. Fujifilm Instax Mini 8 9 Instant Camera Accessory Bundles Set Suitable for users of Fujifilm Instax Mini 8 9 Instant Film Camera This bundles set comes with case bag/ album/ close-up lens/ frame/ sticker borders It has everything you could possibly imagine; Not only let you save money but also you get to make your photos more unique & fashion Easy to use, cute look & extremely Durable! Great useful, fashionable, lovely, awesome as a gift, also great Budget Specifications: . Sony Alpha a5000, Sony a5100 with 16-50mm OSS Lens. Lens Hood For Nikon (21). Lens Hood For Canon (32). Lens Hoods (32). Flash Diffusers for Flash Guns (9). Hot Shoe Covers (9). Go Pro Accessories (20). Genuine Panasonic product. Belt loop Panasonic Logo. Made of synthetic leather and cloth trims. Light weight black PU patent Synthetic Leather. Magnetic fastener. Light weight red PU leather. Weight: about 50g. Panasonic LUMIX LX100. Lens Hood For Canon (32). Lens Hood For Nikon (21). Flash Diffusers for Flash Guns (9). Hot Shoe Covers (9). Colour: Coffee. Go Pro Accessories (20). Compatible With. Suitable for ixus 140 ixus 145 ixus 147 ixus 150 ixus 160 ixus 162 ixus 175 ixus 165 ixus 170 ixus 172 ixus 255 hs ixus 265 hs ixus 275 hs ixus 285 hs. For HP Sprocket Portable Printer Protective Case Cover. 1 x PU Leather White Case Cover for HP Sprocket printer. 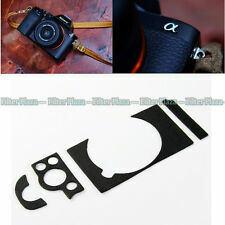 Compatible For: HP Sprocket Photo Printer ONLY. Material : PU Leather. ▶No need to take out the printer when printering. This is an original Pentacon made Praktica two-part ever-ready case for their classic, long-running LTL / MTL series of 35mm film SLRs of the 1970s & 80s, a late model with bright red lining, in good condition.